Taiteilijakollektiivi Kunst / Artist Collective Kunst is showing recent collaborative works in exhibition Make Every Second Count at Galleri Box in Gothenburg, Sweden, during 5.10.-4.11.2018. Make Every Second Count consists of two individual artworks. The human desire to understand and manage time, technical processing of information and communication are in the focus of the exhibition. The installations depict different aspects of the relationship between humans, nature and technology. Ever-evolving technology creates the feeling that life is getting faster and faster. Live-streamed entertainment, real-time services and 24/7 access provides the impression that time is accelerating. According to Schuman Resonance all matter has a frequency or an electro magnetic pulse. When this resonance was first measured in the 1950’s, the earth’s frequency was 7.8 hertz. Recently it has been recorded at 12 hertz. This means that a 24 hour day now feels as if it’s just 16 hours. The Second Rule of Time is that Time is Indispensable. Time is The Currency of the Future. Taiteilijakollektiivi Kunst / Artist Collective Kunst consists of 6 finnish artists. Together we produce works, both collaboratively and as individual artists. We create artistic interventions, exhibitions and performative events and curate Gallery Lapinlahti in Helsinki. 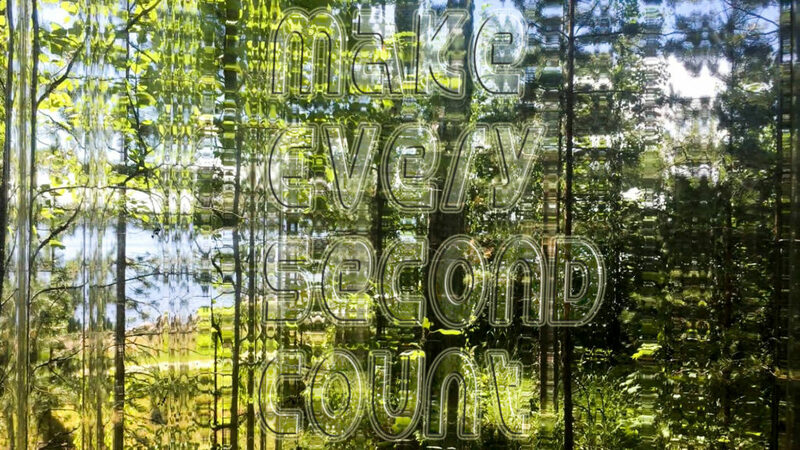 Make Every Second Count -exhibition was created by Christina Holmlund, Pia Paldanius, Sirpa Päivinen, Anu Suhonen ja Julia Weckman. The exhibition has been supported by Arts Promotion Centre Finland and Galleri BOX.